Andrew Sansom now serves as Research Professor of Geography and Executive Director of The Meadows Center for Water and the Environment at Texas State University where he coordinates university policy and research related to freshwater resources, manages the headwaters of the San Marcos River; administers the most extensive freshwater environmental education program in Texas; and supervises the training and coordination of more than 1000 volunteer water monitors in rivers and streams throughout the State. But with all that Andy does, he somehow found time to help SMRF over and over and over, during the past five years, with every roadblock we came to, every difficult situation, in our land conservation efforts. His advice and at times, his personal time spent meeting with landowners, city and state officials, and funders, moved our project forward. 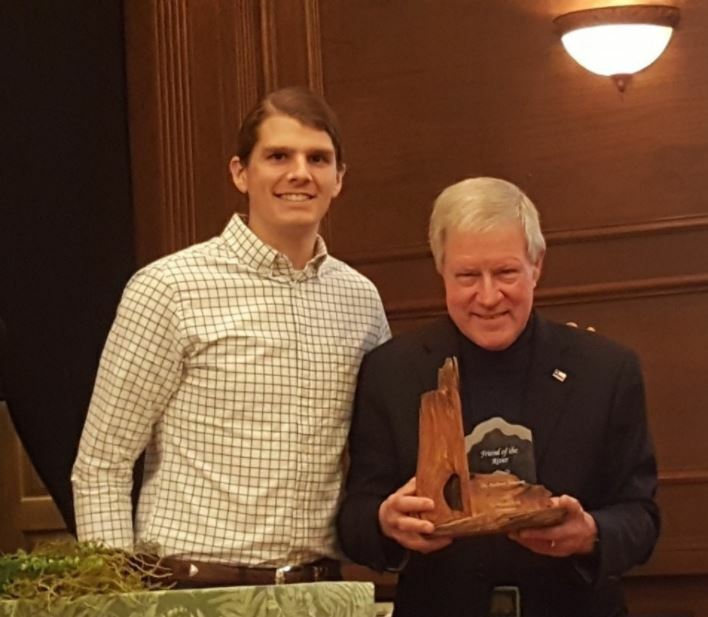 For his untiring efforts on behalf of our projects to care for the San Marcos River and his work to protect freshwater all over the state, we declare Andy a Friend of the San Marcos River.